LC-Tec Displays AB and SKUGGA Technology AB demonstrate prototypes of the next generation automatically dimmable sunglasses at the AWE exhibition in Santa Clara (USA) on June 1-2. The patent-pending SKUGGA® glasses are based on LC-Tec’s patented and patent-pending PolarView® filter, which enables electrical control of the light transmittance of the lenses. The PolarView®-ND(14)-F uses liquid crystal (LC) technology; the adjustment from one gray level to another is very fast while the power consumption at the same time is low. Manufacturing on flexible plastic substrates minimizes the weight and allows bending of the filter. LC-Tec is currently preparing for volume manufacturing of the PolarView® filter. SKUGGA is planning for product launch during 2018. The glasses will then be offered with sensors for self-adjusting light transmittance, have Bluetooth control as well as inductive charging. For further information, please meet us at the AWE USA, the largest AR+VR event in the world, at booth #427 or go to http://www.lc-tec.se/smart-eyewear/ and http://skuggaeyewear.com/. LC-Tec is a technology company specializing in optical components based on liquid crystal (LC) technology. Located in Borlänge, Sweden, the company has over 25 years’ experience of designing and manufacturing a wide range of LC-based products, including optical shutters, variable ND filters, polarization modulators, and information displays. The facilities houses advanced electro-optical laboratories as well as a modern passive matrix LCD manufacturing line. LC-Tec is a publicly traded company, listed on the NGM Nordic MTF stock exchange market. More information about LC-Tec can be found at www.lc-tec.se. 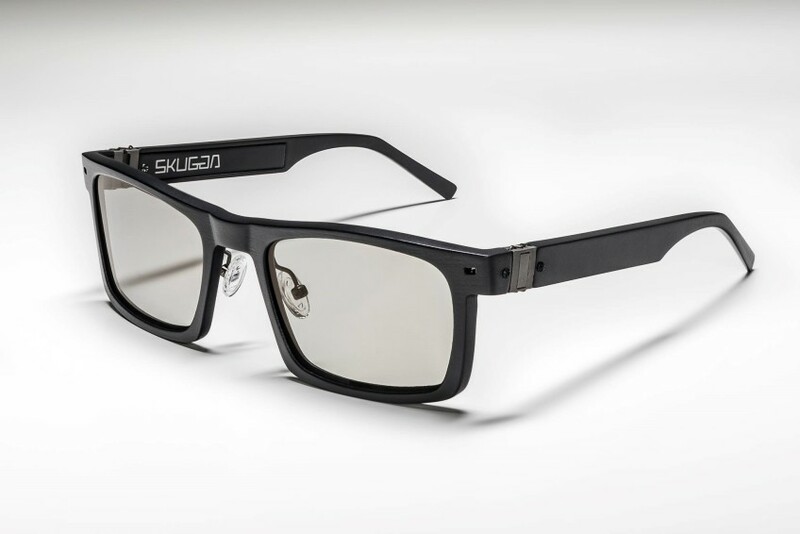 SKUGGA Technology AB was founded in 2014 by experienced product developers and designers as a result of a growing idea about electrical sunglasses glasses in combination with a market-boom for wearable tech. Since then SKUGGA® has evolved and become a reality – proving why dynamic tinting is the future of shades. More information about SKUGGA® can be found at http://skuggaeyewear.com/.